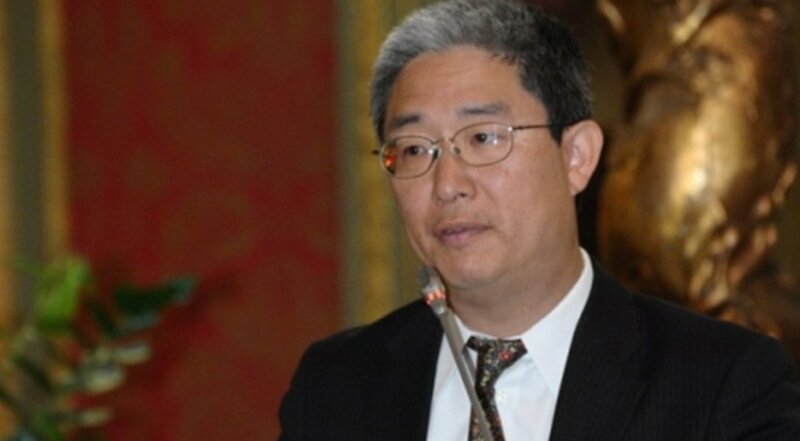 Isn’t it a bit weird to demote DOJ’s Bruce Ohr over contacts with the ‘dossier’ guys? I see I’m not the only one to find that…curious. The infamous “dodgy dossier” may be questionable – may be a pile of horse manure – but why would Bruce Ohr, then an associate deputy attorney general at DOJ, be demoted from that position for meeting with Christopher Steele, the dossier’s author, or with Glenn Simpson, the founder of dossier-promoter Fusion GPS, in 2016? It’s doubly curious (to use streiff’s word at RedState) because Ohr has retained his other position at DOJ: director of the Organized Crime Drug Enforcement Task Forces (OCDETF). If the implication from his demotion is that there was something untoward in his meeting with the dossier guys, “OCDETF director” would seem to be one of the very last positions of authority we would want him in. Blogger streiff may not find this curious for the same reason I do. When the information about Peter Strzok came out – i.e., the reason for his removal from the Mueller investigation back in August – I thought one aspect of it requiring rigorous explanation was why Mueller and the FBI refused to explain the removal to Congress. Now I’m thinking something similar about Ohr’s demotion. What’s the point of demoting him from an associate deputy job, while retaining him as the OCDETF director? Why would mere contact with the dossier’s proponents lead to this development? There is no reason I can think of why Ohr should not have spoken with Steele, or with Simpson, for that matter. (This is assuming the FBI was taking the dossier seriously, but that’s a separate, if dubious, matter.) The real issue would be what, if anything, Ohr did based on the meetings. Demoting him doesn’t immunize him (or the DOJ) from anything, including subpoenas from Congress. So what gives? The demotion comes just when we are learning that one of Mueller’s investigators, Jeannie Rhee, has not only donated thousands to Democrats since 2008, including Hillary and Obama, but was hired as personal counsel for Obama aide Ben “Echo Chamber” Rhodes – during his questioning by Congress over the Benghazi incident in 2012 – and as counsel for the Clinton Foundation to boot. That basically has the character to it of hiring Frank Nitti’s lawyer to investigate both Elliot Ness and Al Capone. Along with other, similar revelations in recent days, it creates a context of pervasive bad faith that renders every move suspect. 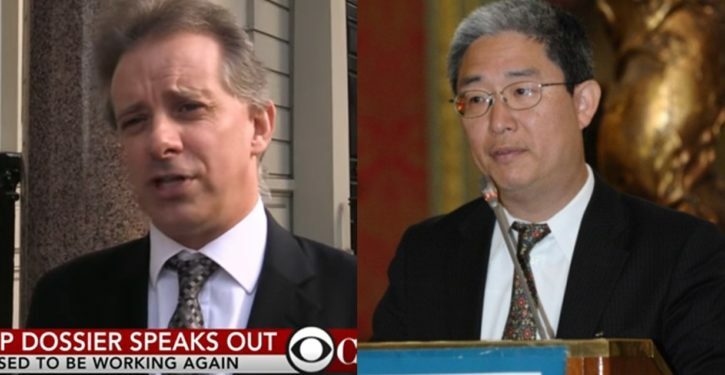 How exactly Simpson and Ohr came to know each other is still being investigated, but initial evidence collected by the House intelligence committee suggests that the two were placed in touch by Steele, a former FBI informant whose contacts with Ohr are said by senior DOJ officials to date back to 2006. 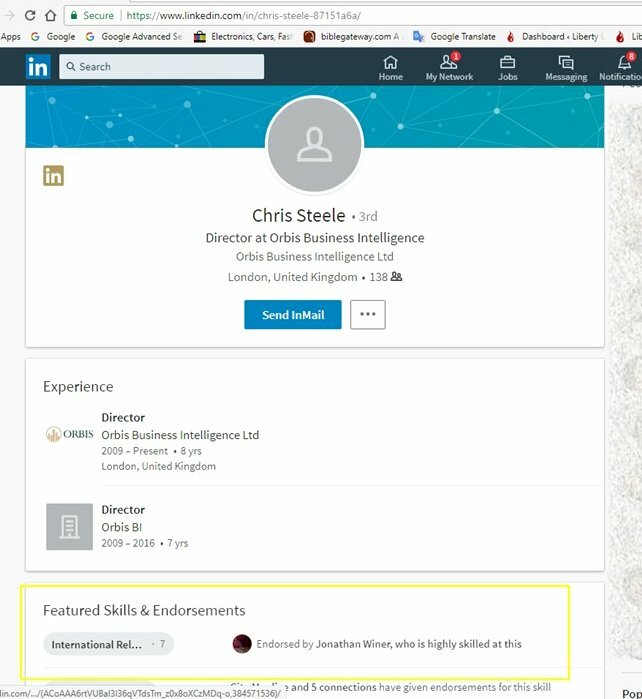 Steele’s connections with the FBI go back a long way, and have been reported in other contexts as well. Interestingly, the connections have revolved around organized crime investigation. There’s a whole cottage industry out there among bloggers who are certain that Trump must have organized crime links because of the Russian crime kingpins who have leased or owned units in Trump Tower. You can search on that topic at your leisure; the salient point about the whole business is that those Russians have been under intensive scrutiny by U.S. agencies for many years – some of them going back to the early 1990s – and if the FBI had anything on Trump in relation to them, we would already have indictments, or at least leaks of embarrassing information. Indeed, we would have had them before the primaries ended in 2016. So my point here is not about that. It’s about the nature of Christopher Steele’s links to the FBI and DOJ. Notably, the same character pervades his link to a former State Department official, Jonathan Winer, who worked for several years for Uranium One-linked TENEX’s lobbying representative in the U.S. – APCO – which also provides services to the Clinton Global Initiative. Winer moved from APCO to the State Department in September 2013 (Hillary Clinton left it earlier that year), and may have had contacts with Steele between 2014 and 2016, when Steele’s reports, prepared under a business contract, were popular at State. Winer doesn’t appear to have any connection with the dossier, but he does appear in orbit with Steele, Glenn Simpson, and Fusion — all through the specialized environment of countering Russian crime. More on that in a moment. First of all, this is how that gets us back to Ohr. Before he became the director of the OCDETF, Bruce Ohr was the Counselor for Transnational Organized Crime and International Affairs in the Criminal Division at the DOJ. And before that, he was the Chief of the Organized Crime and Racketeering Section in the Criminal Division (of DOJ) from 1999 through May 2011. 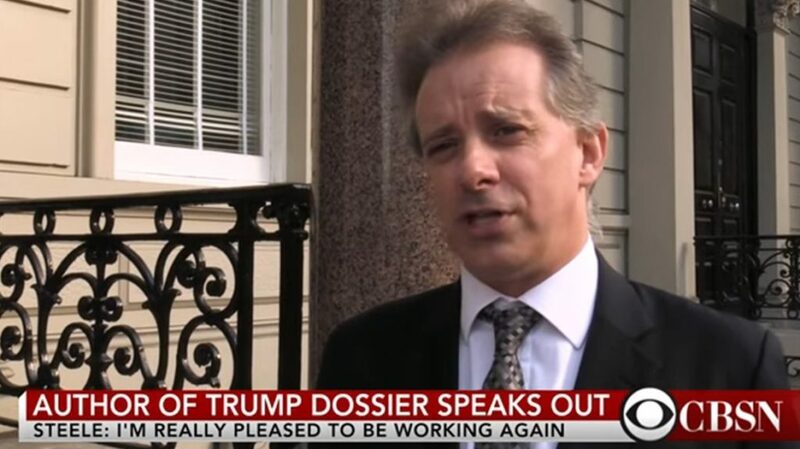 Like many of the officials in that section, as well as FBI agents like the one who reportedly had a particular, dossier-related connection with Christopher Steele in 2016 (see below), Ohr worked organized crime in the DOJ’s Southern District of New York (in his case, throughout the 1990s). One of the main things the Southern District serves as a hub for is investigating and prosecuting international organized crime. Interestingly, it keeps coming up in connection with Christopher Steele. And now, for merely coming in contact with the purveyors of the dossier (including Steele), Bruce Ohr has been demoted from an associate deputy job. Is the Steele-FBI connection that toxic? Because there seems to have been an awful lot more to it. For one thing, it reportedly goes back to 2006 (and possibly before). In 2006, Steele was still at MI6, reportedly in a senior position at MI6’s Russia desk. That, according to Fox, was when Steele’s connection with Ohr came about. Steele was at the MI6 HQ from 2002 (when he returned from a posting in Paris) to 2009, when he retired. There could hardly be anything wrong with the FBI working with someone from MI6, presumably on Russian organized crime. 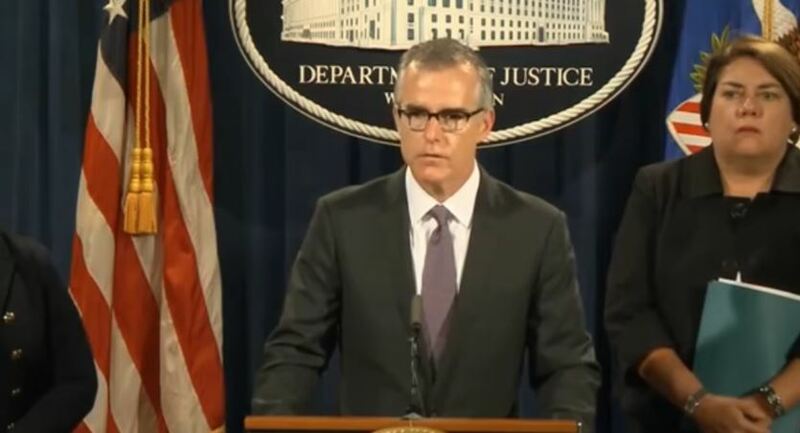 It’s also noteworthy that Andrew McCabe, now Deputy Director of the FBI (and with the wife who received a big chunk of campaign funding from Clinton crony Terry McAuliffe), was head of the FBI’s Eurasian Organized Crime Task Force from 2003 to 2006. This means he would have worked with Ohr’s Organized Crime and Racketeering Section at DOJ on Russian and other Eurasian organized crime during that period. A word on the Eurasian Organized Crime Task Force. It was formed in 2000 as an interagency task force to combat transnational organized crime in (obviously) the Eurasian region. It was formed as a joint enterprise with the NYPD, and operates out of New York City. It had a forward presence in Budapest, Hungary as well (link below), between 2000 and 2012 (when a national police reorganization in Hungary caused the partnership with the host nation to dissolve). In 2010, when a retired Steele was working some of his first contracts through Orbis Business Intelligence, he reportedly briefed officials of the FBI’s Eurasian Task Force on his findings about syndicate crime in FIFA, the international governing body for soccer (see Guardian link above). A Reuters report on Steele’s FIFA investigation indicates that he met with the FBI officials in London in the summer of 2010, and that his information may have been important to the subsequent U.S. case against Americans involved in the FIFA bribery scheme. So officials in both the DOJ and FBI had reason to be very familiar with Christopher Steele. It’s also noteworthy that one of the cases thought to be prominent in the Budapest station’s early-years portfolio was that of Russian crime boss Semion Mogilevich. Mogilevich’s career was reportedly a focus of Glenn Simpson’s reporting when he was at the Wall Street Journal. One of Simpson’s subjects was Semion Mogilevich, a Ukrainian-Russian mafia don and one of the FBI’s ten most wanted individuals. Mogilevich, it was alleged, was behind a mysterious intermediary company, RosUkrEnergo (RUE), that imported Siberian natural gas into Ukraine. The profits were measured in billions of dollars. Mogilevich wasn’t someone a reporter might meet; he was more myth than man. He lived in Moscow—or was it Budapest? Seemingly, the Russian state and FSB harbored him. 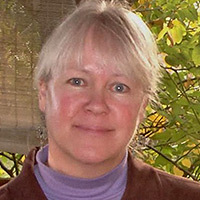 Simpson talked to U.S. investigators. Over years, he built up a portfolio of contacts in Hungary, Israel, Cyprus. At home he knew individuals inside the Department of Justice—in particular its Organized Crime and Racketeering Section—the U.S. Treasury, and elsewhere. Hmm, where did we see that Organized Crime and Racketeering Section before? That’s right: Bruce Ohr was the chief of it from 1999 to 2011. It would be no surprise for Ohr to also know Christopher Steele. Ohr’s crime section would have been aware of Steele’s collaboration on at least one subject – and probably more – when Steele was still at MI6 prior to 2009. And then Steele briefed FBI agents in London on the FIFA crime scheme in 2010 – a major case for the DOJ – when Ohr was still the chief of the relevant section at DOJ. Here is one more interesting data point from 2010. According to the Guardian profile of Steele, he and Simpson met in 2009, when both were launching their new ventures. In the summer of 2010, Steele was briefing the FBI on what he knew about the FIFA bribery scheme (which he had been contracted by the English Football Association to investigate). 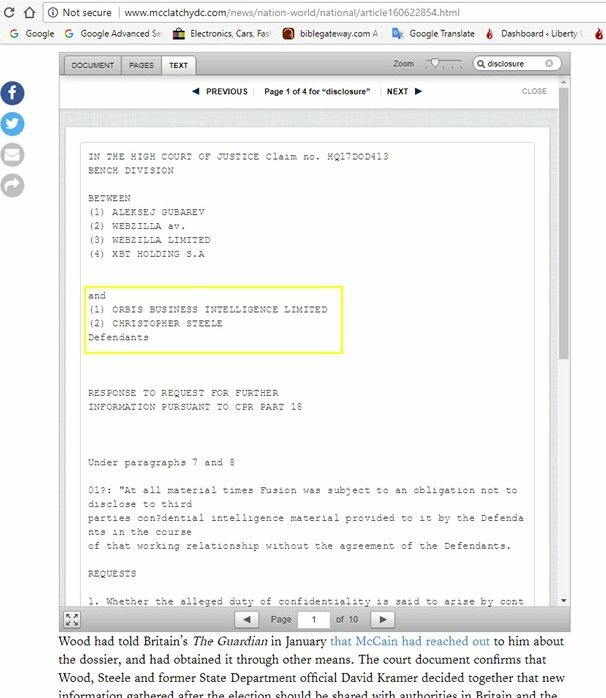 In January of 2010, according to British court documents cited by McClatchy in an article from July 2017, Fusion GPS (Simpson’s firm) executed a “non-disclosure agreement” (NDA) with Steele’s Orbis Business Intelligence, for work Fusion reportedly was doing for Orbis. The significance of this is that Fusion and Orbis had a contractual relationship going back to at least January 2010, which would have preceded the meeting between Steele and the FBI officials in London. We can’t assume that the NDA executed in January 2010 was related to any topic on which Steele and the FBI collaborated at the time. But given the common interests of Simpson and Steele in organized crime, including crime involving Russians, it would have been likely for Steele and Simpson to exchange information, and even collaborate, on a topic like that. All of this is circumstantial, to be sure. But it does beggar belief that these various individuals didn’t know each other – going back years – even if they weren’t buying each other’s kids Christmas presents. The odd jumpiness at DOJ and the FBI about the dossier seems to increase the mystery. OK. Let’s revisit the FIFA collaboration in 2010. According to the Guardian, Steele went to Rome in 2010 to brief an FBI contact there on FIFA: a man with the Eurasian Organized Crime Task Force. This doesn’t conflict with the Reuters report that Steele met with FBI officials in London – but it appears to supplement it. A strong possibility is that the meeting in London was arranged because of what Steele disclosed at the meeting in Rome. Then, in June 2016, Steele met the same contact again in Rome. This was six years later. By that time in 2016, Steele had been contracted by Fusion to produce the dossier on Trump. Guardian’s article suggests Steele was worried that what he had found wasn’t getting any traction in the right places in the U.S. I would be inclined to think it was Fusion, and/or Fusion’s client (the DNC), that was actually more concerned about that. Steele’s choice to shop the dossier to the FBI through a meeting in Europe, with his old FBI contact, certainly doesn’t militate against my theory. Glenn Simpson had clearly known Steele long enough to suggest just such a method of pushing for the dossier to have a bigger effect. Simpson knew the FBI too, including specifically relevant people inside it. After a slow start, Brennan used the GCHQ information and other tip-offs to launch a major inter-agency investigation [of the Trump team]. Meanwhile, the FBI was receiving disturbing warnings from Steele. At this point, Steele’s Fusion material was unpublished. Whatever the outcome of the election, it raised grave questions about Russian interference and the US democratic process. There was, Steele felt, overwhelming public interest in passing his findings to US investigators. The US’s multiple intelligence agencies had the resources to prove or disprove his discoveries. He realised that these allegations were, as he put it to a friend, a “radioactive hot potato”. He anticipated a hesitant response, at least at first. In June, Steele flew to Rome to brief the FBI contact with whom he had co-operated over Fifa. His information started to reach the bureau in Washington. It had certainly arrived by the time of the Democratic National Convention in late July, when WikiLeaks first began releasing hacked Democratic emails. It was at this moment that FBI director James Comey opened a formal investigation into Trump-Russia. The Guardian’s statements about GCHQ, Brennan, and other U.S. intelligence officials have yet to be validated by information uncovered in an official way. But the existence of the FBI contact on the FIFA probe is corroborated by other reporting, and the rest of the narrative here fits with other consistent allegations about the use of Steele’s material by the Obama administration to justify an investigation. Again, keep in mind that the players in this all knew each other. They weren’t dealing in the blind, when it came to the organized crime officials at DOJ and the FBI, or Glenn Simpson – who had covered them as a journalist for years – or Christopher Steele, who worked with them professionally. According to the Guardian, Steele met with FBI agents once again – in Rome – in September 2016. In the ESPN article at the link, Gaeta is identified as the head of the Eurasian organized crime unit operating in NYC, which comports with the title the Guardian gives Steele’s contact. Sometime between 2014 and October 2016, Mr. Gaeta was reassigned as the Assistant Legal Attaché at the U.S. embassy in Rome. In that capacity, he participated in an academic roundtable sponsored by John Cabot University (in Rome) on 25 October 2016. 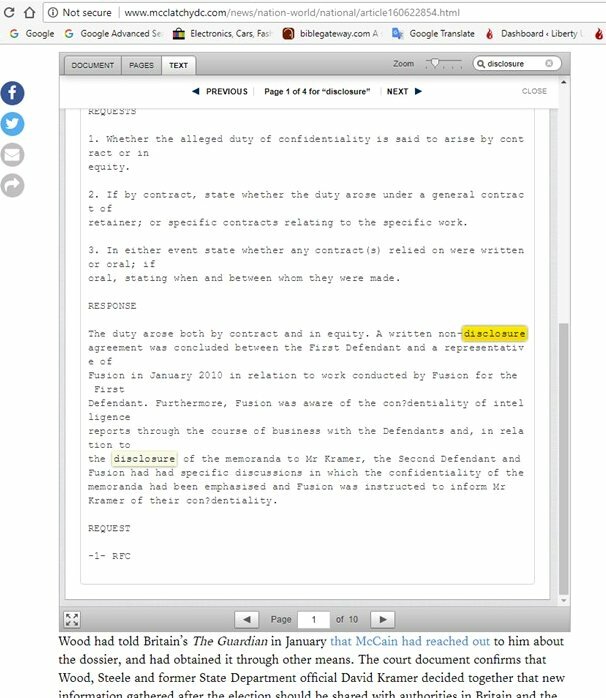 Although the exact date of his posting is not available online, it is likely to have accommodated the June 2016 meeting with Steele in Rome described by the Guardian. The connection with Jonathan Winer, a veteran of the State Department, is illuminating in light of the background that links Steele, Simpson, the FBI, and the DOJ through organized crime investigations. Winer’s connection is unrelated to the dossier, in my opinion. But, as previewed above, Winer, while circumstantial, is a link with remarkable collateral links, including the Uranium One-connected firm APCO, with its separate link to the Clinton Foundation. As we’ll see, that’s not the only relevant Winer link. It’s worth a passing note that this assignment is interesting, considering that Winer’s background did not seem to fit him particularly for it. He had spent more time in his professional life dealing with organized crime and Russia up to that point. And he appears to have devoted substantial time in the Libyan special envoy job to resettling members of the Iranian dissident group Mujaheddin e-Khalq (MEK), which has been in eastern Iraq for decades. At any rate, the Guardian profile of Christopher Steele indicates that Steele gained some fame within the esoteric walls of Foggy Bottom during the time Winer was in that job. 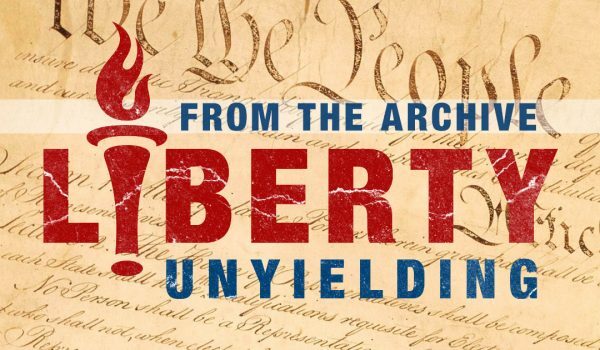 The episode [Steele’s FIFA briefs] burnished Steele’s reputation inside the US intelligence community and the FBI. Here was a pro, a well-connected Brit, who understood Russian espionage and its subterranean tricks. Steele was regarded as credible. Between 2014 and 2016, Steele authored more than 100 reports on Russia and Ukraine. These were written for a private client but shared widely within the US state department, and sent up to secretary of state John Kerry and assistant secretary of state Victoria Nuland, who was in charge of the US response to Putin’s annexation of Crimea and covert invasion of eastern Ukraine. Many of Steele’s secret sources were the same people who would later supply information on Trump. What would be the reason for thinking Winer, in particular, had seen these reports by Steele? 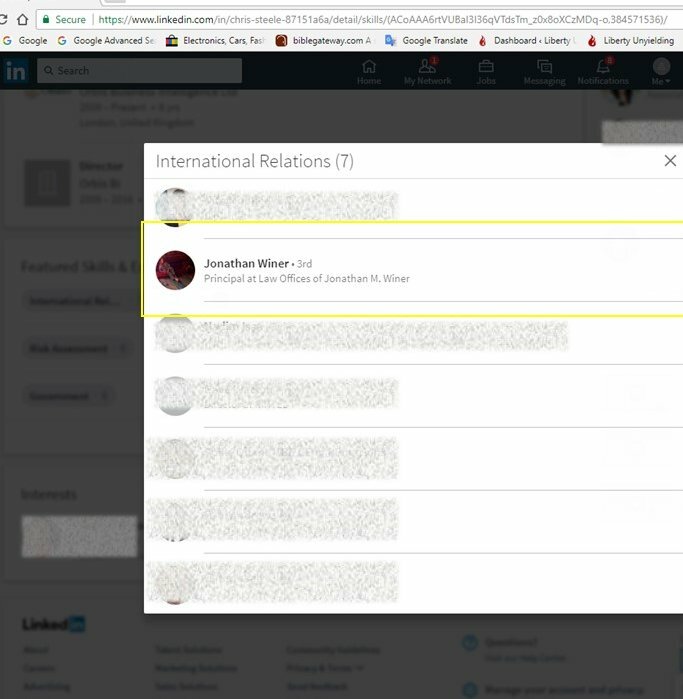 The arresting data point that Jonathan Winer – the individual with the exact profile of Jonathan Winer, the U.S. government official, attorney, and sometime senior officer with APCO – had endorsed Christopher Steele of Orbis Business Intelligence for “skill in International Relations” at the professional social-media site LinkedIn. Presumably, Mr. Winer does not do this randomly or lightly. (If you review Winer’s other endorsements, I think you’ll agree they all look legitimate.) What appears certain is that the opportunity was there for Winer to gain perspective on Steele’s expertise – whether after 2013, or much earlier, when the two men worked some of the same issues in the 1990s or 2000s. Represented domestic and multinational clients on compliance and enforcement issues relating to international financial regulatory issues, data protection and information security, foreign corrupt practices, cross-border trade, foreign investment (CFIUS), public policy and legislative matters. Provided counseling regarding AML compliance, terrorist finance, international criminal enforcement, and sanctions issues. Alert readers will recognize that this puts Winer at Alston & Bird during a time – the 2000s – when Russian firms like Rosatom’s TENEX were maneuvering to both game the U.S. system and be certified for compliance. Let me be very clear: there is no reason whatever to suppose Winer was engaged in anything related to Russian bribery schemes. But his work would have crossed paths, on the compliance and enforcement side, with such schemes. Oversaw U.S. international efforts against transnational crime, including corruption, financial crime, money laundering, sanctions, narcotics, stolen assets, high-tech crime, intellectual property theft, corruption, small arms trafficking, trafficking in women, and alien smuggling. Managed programs for combating corruption, criminal activity and supporting rule of law in Russia, Ukraine, Kazakhstan, and the other newly independent states. Helped develop President Clinton’s Transnational Organized Crime strategy, 1998. It was during this period that Winer worked with British intelligence on a Russian crime boss of special interest to Glenn Simpson: Semion Mogilevich. The bulk of U.S. reporting on the case of Mogilevich allegedly laundering money through the Bank of New York, including Glenn Simpson’s, spanned the period 1999 to 2007. As the Guardian report from 1999 indicated (linked above and here), the timeframe of Winer’s State Department collaboration with the Brits on the Mogilevich case was also when the FBI began working with MI6 extensively on it; i.e., 1998-99. That was also when the Clinton administration was putting together the Eurasian Organized Crime Task Force – and Jonathan Winer was helping “develop President Clinton’s transnational organized crime strategy,” of which that task force was a flagship element. Prior to that five-year stint in the State Department, Winer was a legislative aide to then-Senator John Kerry, which no doubt had a lot to do with Winer’s special envoy job in the Kerry State Department. Strategic advice to corporate, non-governmental and governmental clients and international organizations regarding cross-border regulatory, legal and policy issues, primarily involving financial services regulation, foreign investment and trade, corruption and corrupt practices, information security and data protection, money laundering, asset recovery, sanctions, and cross-border law enforcement assistance. Expert witness services on money laundering and terrorist finance. As reported by Circa, APCO has also provided consulting services for the Clinton Global Initiative since “2007-2008,” which APCO says were kept rigorously separate from anything done for TENEX. The most interesting Winer link, however, is another and very specific one from his time at APCO. Winer is described, in a UK Telegraph article from 2011, as an old friend of William Browder: the employer of Russian whistleblower Sergei Magnitsky, whose case generated such political heat in the U.S., and is linked to the counter-efforts against the Magnitsky legacy mounted by Russia through Fusion GPS. 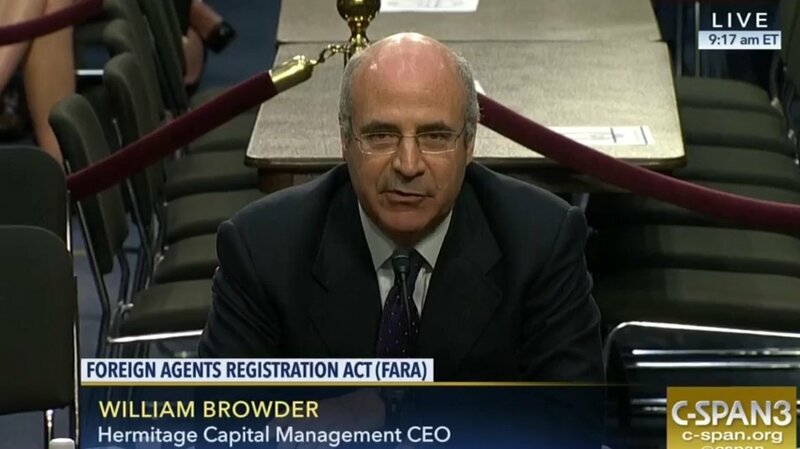 Fusion’s connection to the Magnitsky case is essentially on the opposite side from Browder; i.e., on the Russian counter-narrative side, which disputes Browder’s facts on the Magnitsky case. And that Fusion connection lies behind the notorious set-up in Trump Tower, in June 2016, of Donald Trump, Jr. and other members of the Trump campaign team. In June 2008, The Hill reported that APCO would be lobbying on behalf of Browder “on issues regarding U.S. and international business climates in emerging markets.” (This was before Magnitsky’s death in the Russian prison.) Jonathan Winer was named as the APCO principal for this representation. Later, according to the Telegraph, when Browder was urgently trying to get attention for Magnitsky’s case from U.S. authorities, he came to the country in April 2010 (shortly after Magnitsky died in prison), and the first person he visited was Jonathan Winer. Fast forward to 2017, and Winer, in private practice (and on the International Advisory Council of APCO), is reported to now be retained as counsel for William Browder. An author named Alex Krainer, who wrote a book claiming to refute the information about the Magnitsky case given by Browder, says that Amazon withdrew his book from its site in September, under pressure from Browder’s representative(s), and that Jonathan Winer was given as Browder’s legal counsel. The Browder connection would mean Winer would have known that Fusion GPS was hired in 2016 to discredit Browder (as a witness in the Prevezon case). From their earlier common interest in Semion Mogilevich, as well as their separate work on Russian racketeering and organized crime in the 1990s and 2000s, Winer would have known who Glenn Simpson was, and vice versa. And there is evidence that Winer knew who Christopher Steele was, and knew he was an adviser under federal contract in the period 2014-2016. He may have had direct contact with Steele, although there is no dispositive evidence of that. The set of facts about Jonathan Winer is not a case that he had involvement in the dossier. 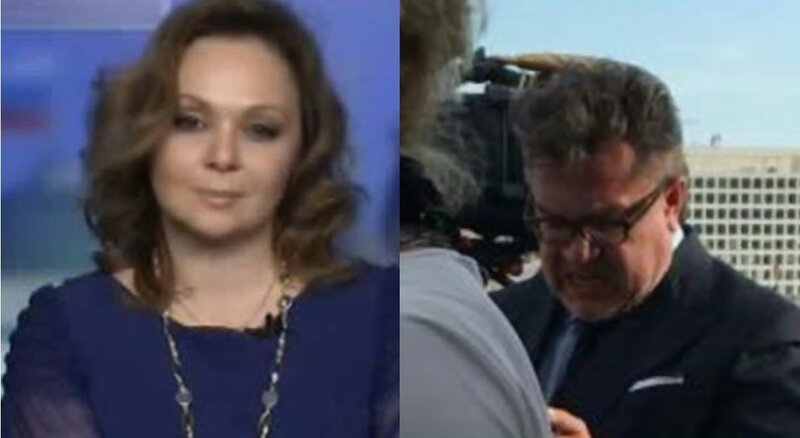 But what the Winer links show is that it’s not hard to find someone with the opportunity and exposure to know, or know the work of, everyone who was involved with the dossier – and who is also connected to all the other players, because of the nature of the common link between them. The threads to Steele, Simpson, Fusion, APCO, the Clinton Foundation, the DNC, the DOJ, and the FBI all run through the business of tracking and combating organized crime; in particular, Russian organized crime. Does that circumstance mean nothing? Maybe. It may be the question that matters most. Here’s the thing that never shakes out of any of this knowing and knowing-of, in the intersecting sets of the Russia-connection players: evidence that Donald Trump has done anything wrong. All of these professional people tracked Russian crime for years, some of them prosecuting it, some of them tracking events in Trump Tower, or social or entertainment events involving Trump or his companies – and yet nothing implicating Trump ever turned up. If it had, it would have been used by now. Then 2016 hit, and ever since, the same crew keeps popping up in an innuendo campaign about Trump and the Russians. Now this crew is as jumpy as the neighbors’ dogs on the Fourth of July. Things that make you go, Hmm. 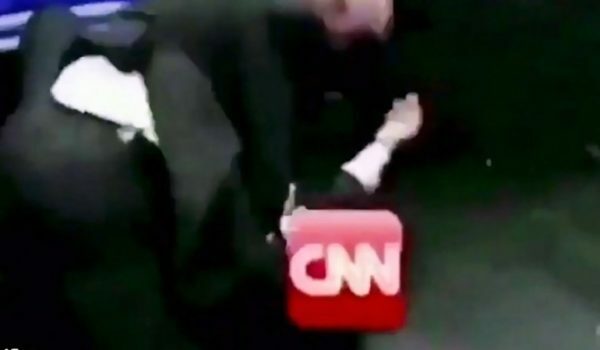 CNN botches ‘bombshell’ alleging contacts between WikiLeaks and Don Jr.